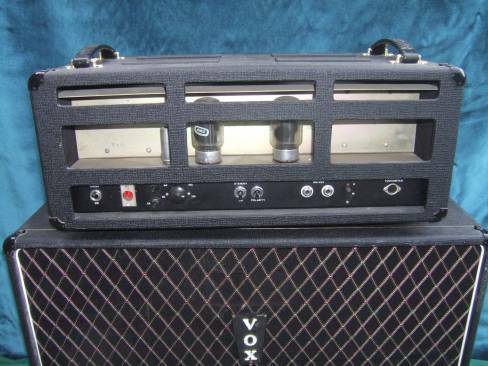 The VOX 7120 is a hybrid amplifier with a solid state pre amp section and a tube driven power section. The amplifier is divided into two channels with two inputs per channel. The vibrato channel contains a master volume control plus treble, mid-range, and bass tone controls. In addition, it has vibrato effects. This vibrato effects includes two controls. One for strength of the signal and the second one for the timing of the vibrato channel. In addition, it has a distortion effect. The vibrato and distortion are both activated by a foot switch. Finally, the vibrato channel has an upper mid-range boost. This is activated by a control switch on the panel. The normal channel has a master volume control and controls for treble, mid-range and bass tone. It also has controls for reverb. Finally, it contains a top boost feature on the control panel. All the effects features (vibrato, distortion and reverb), except boost, are activated by a three pin foot switch. 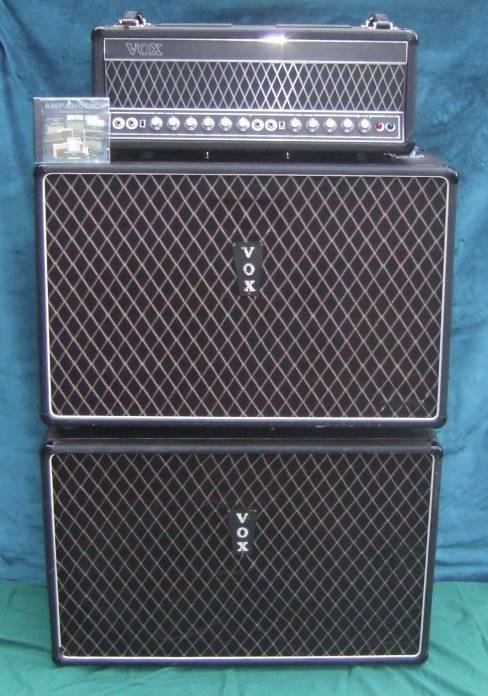 ABOVE: VOX 7120 Now Sold. The unique feature about the amplifier is that the design is extremely complex for a 1966 guitar amplifier. Specifically, the power unit of the amplifier utilizes four KT-88 tubes with two driver tubes. One EL84 and one ECL86. According to the VOX catalogue the minimum power output the amplifier can produce is 120 watts RMS. Given this set of power tubes approximately 180 watts output is well within the capacity of this amplifier. The amplifier has an ultra-linear output stage powered by albion transformers. This set up is designed to accurately reproduce and amplify the signal submitted to it by the pre-amp section of the amplifier by means of negative feed back loops. Therefore, all musical notes are faithfully reproduced at the same volume level and same tonal quality in much the same way that a very expensive high fidelity system would reproduce the signal from a record. Therefore, the signal reproduced is extremely clean and powerful under this design. In addition, each KT-88 tube has its own separate bias control which allows for a fine tuning of bias for each tube to allow for a maximum output with a minimum of distortion. The pre-amp section of the amplifier is based upon signals generated by solid-state transistors. The type of transistors used at the time were transitional. Prior transistors used in JMI amplifiers were made of germanium. For example, Germanium transistors were used in the VOX T-60 base model. Later, FET transistors were used in the American VOX solid state models such as the Beatle manufactured by Thomas Organ. The transistors used in the 7120 model were silicon transistors designated as BC-107 and BC-109 transistors. The vibrato for the amplifier has an AC-128 transistor. The reverb for the amplifier has an AC-127 transistor. The reverb is powered by a single spring suspended unit. The UL760 is almost identical in appearance and electronic circuitry to its bigger brother the UL7120 . It was produced in greater numbers than the UL7120, but is nonetheless still a rare find today. These amplifiers, when on the market, can fetch $TOP$ for a head alone. The UL760 is a studio friendly amplifier when compared to the more powerful UL7120. The pre-amplifier section in all "7" series amplifiers are exactly the same except for the UL705 and the UL710 which are all valve models. The UL7120 and the UL760 have the same power amplifiers with the UL760 only having Two KT88's and lacking the choke of the UL7120. 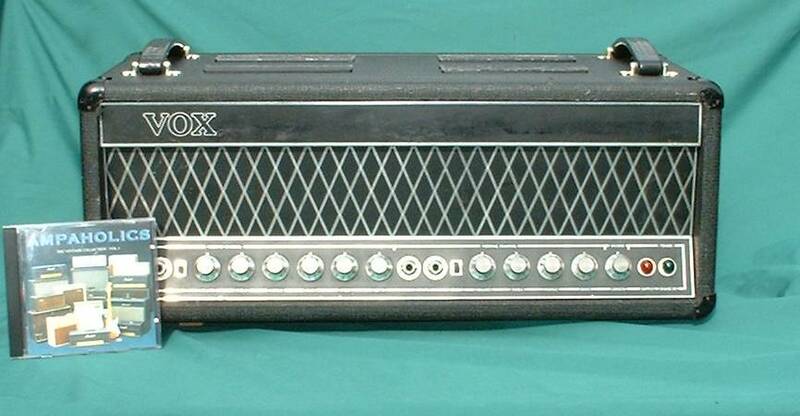 The Rolling Stones were among those who used the Vox 760 amplifier, at least on the road during their 1966 concert tours. JMI was putting the finishing touches on their new UL amplifiers in the spring of 1966. JMI was aiming to send these amps along with the Beatles for their 1966 summer world tour but the final design of the UL heads was still under development. 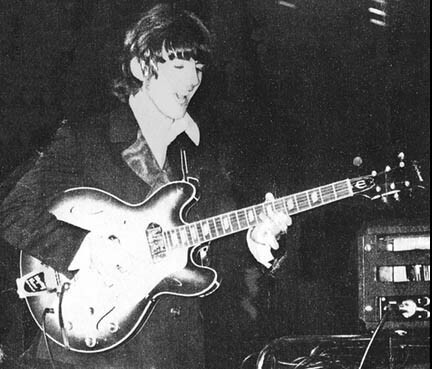 Consequentially, John, Paul and George took delivery of prototype Vox 7120 amps in mid April 1966. These prototype 7120 heads and speaker cabinets made their first public appearance with the Beatles in a promotional video for "Rain" shot on May 19, 1966. The amps had a double row of vents for extra ventilation. The Beatles head cabinets had one strap handle, centered on the top of the cabinet Whilst Production heads had two strap handles, located on the top left and top right of the cabinet,This was due to the extra row of vents which did not allow enough room for two handles. The backs on the Beatles 7120 heads were removable, fastened with four screws The backs on most production models were not removable.The backs on the Beatles 7120 heads had only horizontal webs. The backs on production models had horizontal and vertical webs.The Beatles UL head cabinets were somewhat smaller than the production model, 22 1/2 X 11 1/2 X 8 1/2 inches similar in size to the 730 head cabinet.